Sleeping pills can be an excellent remedy for individuals facing chronic sleep issues. 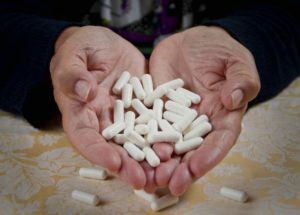 Not only can they help treat this condition, but hypnotic or soporific drugs can also make a significant difference in a person’s quality of life. However, taking sleeping pills is not without consequences as prolonged and careless use can lead to addiction and other, potentially more serious, health consequences. Patients that take sleeping pills only occasionally and based on a prescription report having an easier time falling asleep and getting through the night without any issues. The problem is that this medication is not a long-term solution. Repeated use can make individuals feel like they cannot go to sleep without taking a pill. The CDC reports that 4% of US adults age 20 and higher use prescription sleeping pills. Most of them tend to overmedicate and take higher doses than the one recommended. As such, the number of emergency-room visits has increased significantly during the past years, notes the Substance Abuse and Mental Health Services Administration. How Addictive Are Sleeping Pills? As mentioned already, sleeping pills are only a short-term solution. Doctors often prescribe them for treating severe cases of sleep disorders, as they are fast-acting and can be used on a need-based schedule. However, managing chronic sleep disorders requires an array of additional methods, and cannot rely on sleeping pills alone. But because they are effective, people tend to use them every time they have trouble sleeping. Over time, their bodies develop a dependency on the substance, and patients become unable to go to sleep without taking a pill. Even when they realize that they have become overly dependent on sleeping pills and try to reduce the dosage, patients often face severe withdrawal symptoms that force them to continue their destructive habits. A definite sign of sleeping pill addiction is when a patient feels like they cannot sleep without taking a pill. There is a common misconception that such medication cannot cause addiction, but the reality is far different. Taking sleeping pills for longer than the recommended timeframe or without a prescription are clear signs that a person is struggling with a developing dependence or addiction. What Are the Dangers of Mixing Sleeping Pills with Alcohol? It is common for people abusing sleeping pills to mix the medication with other substances, mainly alcohol. This behavior occurs because certain substances can increase the desired effects of the sleep medication, and patients often ignore the warning signs just so that they can get a good night’s rest. The sedative effects of sleeping pills are more intense when mixed with alcohol. However, because the patient is so focused on acquiring the desired effect, they might end up overdosing. Can You Overdose on Sleeping Pills? Taking too many sleeping pills or combining them with other drugs or alcohol can lead to overdose. Repeated usage of the drug only makes a person more dependent on the substance. Over time, their bodies will get accustomed to its effects and require higher doses to experience the same high. As such, patients will either take more pills than recommended or mix them with alcohol or other drugs. This behavior can easily lead to overdosing. In the event someone has overdosed on sleeping pills, it is vital to call an ambulance as soon as you notice the first troubling signs. It can be hard to imagine going through life with a sleeping disorder. Sleeping pills can certainly help you get control of your sleeping schedule. However, the adverse effects of long-term use can significantly impact your health and safety, as it is so easy to become addicted to the drug. When that happens, seeking professional help becomes imperative, since getting off the drug alone can be almost impossible. An addiction to sleeping pills is an urgent situation in and of itself. Maybe it started taking OTC antihistamines such as Benadryl®. Then it advanced to the stronger stuff like Ambien® or Lunesta®. Pretty soon, you found yourself panicking when your prescription ran short. Then you realized you could not quit taking sleeping pills to even function the next day at work. However, the solution to end your addiction you simply could not find. Often men in this situation begin taking alcohol as a sleep aid—never a good idea. Full-blown addiction to other drugs or alcohol is often never far away. If you want to know how to stop taking sleeping pills or other mind-altering substances, Windward Way’s addiction treatment program is here to give you the results you’re after. Our counselors can start the process right now. Just call us at 855-491-7694. When men discover they are not only addicted to sleeping pills, but also suffering from a crippling addiction to opiates, benzos, alcohol, or other prescription medication, Windward Way offers lasting answers when other rehabs simply push you through their cookie-cutter program. Our drug rehab program will get you off the medication to give you a fresh start. In the same way, our alcohol rehab can give you the skills you’ll need to learn how to live without liquor. A treatment plan for sleeping pills addiction first requires that we assess your specific situation. Fortunately, with the many treatment modalities, our staff knows—inside and out—you’ll soon discover the solution that has helped many other men, not unlike yourself. You don’t have to wait—Windward Way has the answer you’ve been looking for: 855-491-7694.